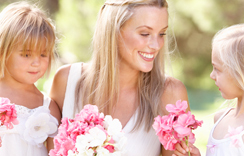 Plan a perfect wedding that is everything you envision and more. Pick a colorful pallette and create the ultimate atmosphere. Every couple deserves the finest at an unforgettable destination. Organize some pre-wedding fun for the blushing bride-to-be. Go bold and celebrate in style! Get exactly what you want when you browse through a large variety of unique wedding invitations, favors, and personalized theme gifts for your attendants at Hanson Ellis. There's something for everyone and you'll love what you see! 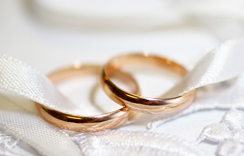 Your stylish wedding website with an app! Delight your guests and keep everything organized. RSVPs, photo sharing, event info, travel details, chat, registries and more. Shop through Ebates.com and earn cash back at all of your favorite stores with rebates, special deals, promotions, and discounts. Win-Win! Who says that your dress has to be new? A popular trend amongst brides is buying top designer gowns at a fraction of the original cost. What's old is new again! Ready for a party? Here's some answers to common questions and answers about etiquette when it comes for hosting and attending a bridal shower.